Weird Noises in Your Roof? As the leaves change colour and the crisper weather arrives, many small pests will begin to look for shelter indoors – and homes are the perfect refuge from the cold winter ahead. A1 Pest Control reminds homeowners of the importance that exclusion can play in keeping pests such as rodents and other small animals from becoming unwelcome houseguests during the winter months. It’s that time of year that temperatures are dropping so you may have noticed mice starting to enter your home. Exclusion is the most successful and permanent form of home mouse control. Build them out by eliminating all gaps and openings larger than 1/4inch. Seal cracks in building foundations and around openings for water pipes, vents, and utility cables. Make sure to check around your doors to make sure they fit tight. Check at the bottom of your garage doors where the door seal is. Make sure there isn’t a ¼ inch or larger gap as mice love to squeeze in through there to enter your home. Your yard should be free of debris. Ideally your wood pile should be away from the house. Remove weeds, rake leaves out away from the house, secure wheely bins and garbage bins and try not to have them in your garage. If you store dog food or bird seed in your garage have it in a sealed container. And if you are having problems with mice please call, we’d be happy to help. Rodents will always be looking for a nice comfy nook in your house to set up their own home! The word alone conjures up fears of scratching sounds coming from inside wall, filthy kitchens and disease. There are two common rats found in Australia, the Norway Rat and the Black (Roof) Rat. The Norway rat is a large, robust-bodied rodent that is considered the most important pest rat across much of the world. The average length from the tip of the nose to the end of the tail, which is quite short in relation to the rest of the body, is around 40 centimetres long and they can weigh up to 340 grams. Their fur ranges in colour from reddish brown to dark gray and due to high variation amongst rats, fur colour is not a reliable way to tell one rat from another. Though Norway rats have small ears they have excellent sense of hearing, tasting, touch and smell and although their eyes are prominent, Norway Rats have a poor sense of sight and are colour blind. Rats are what is called `crepuscular’ creatures, which means they are active around sunset and sunrise, but not during the day or the middle of the night. Norway rats are known to be exceptional leapers, runners, and swimmers as well as being capable of climbing pipes, bricks and tree trunks. Contrary to its name, the Norway rat is originally from Eastern Asia but was readily spread by human movement over the last few centuries. It is especially adept at living with humans and tends to thrive in both urban and rural settings. In fact, the way that a rat behaves is strongly tied to the type of environment in which it is living. This makes it difficult to describe rat behaviour in a straight-forward way. In general, Norway rats dig burrows into soil to use as safe havens and nesting sites. In a city, these rats exploit cracks, crevices and holes in streets, sidewalks and building foundations to use as burrows! Managing rodent infestations is usually a combination of exclusion (sealing up places that allow rats to come in and out of your house), trapping and baiting. Rodents are quite crafty and complex and control of rats is a serious business that is best left to pest management professionals, so please call A1 Pest Control on 0417 251 911 or email bruce@A1PestControl.com.au if you are finding evidence of rodents in your home! Mice are the number one cause of unexplained fires because of their tendency to gnaw on wires? Mice can contaminate food and transmit various pathogens, such as Salmonella, the causative agent of food poisoning, by walking across various foods or food preparation surfaces? Adults can produce nearly 40 offspring per year over four litters. Preventing rats from coming in your home and eliminating those present is important and should be made a priority. Rodents transmit disease, damage property and cause emotional distress. The real concern is that rodents and other smaller pests pose serious health threats by contaminating food and transmitting bacteria. Mice and rats can spread diseases like Salmonella and Hantavirus. 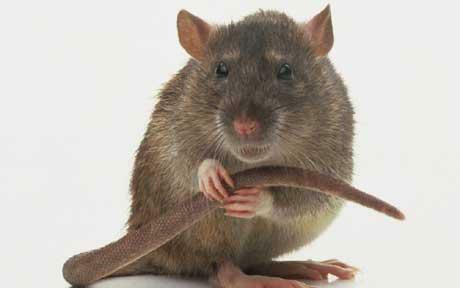 Rodents also put homes at risk for electrical fires by gnawing on wires and cause leaks by chewing through water lines. We know that exclusion (pest-proofing) is not always easy, but it’s important for homeowners to spend some time over the next few weeks taking steps to protect their properties from dangerous pests. Store firewood at least 6 metres away from the house; keep shrubbery well trimmed. Prevention is critical in protecting you business from a pest infestation. Below are just a few pest prevention tips that your commercial business can employ to avoid bug and insect infestations and the potential health and property threats that pests and rodents can pose. “Pest-proof” your business by being vigilant of building maintenance needs. Don’t overlook proper drainage at the foundation; install gutters or diverts, which will channel water away from the building. Clean high-volume areas daily, such as public eating areas and kitchenettes, where crumbs and rubbish are more likely to build up. Call A1 today on 0417 251 911, your local Sydney Commercial Pest Control Specialists!